Wedding Vintage Elements Big Collection. Romantic Hand Drawn Floral Set With Frames, Flowers, Leaves And Ribbons. Romantic Vector Elements For Card. Save The Date And Invitation. Royalty Free Kliparty, Vektory A Ilustrace. Image 45930732. Reklamní fotografie - Wedding vintage elements big collection. Romantic hand drawn floral set with frames, flowers, leaves and ribbons. 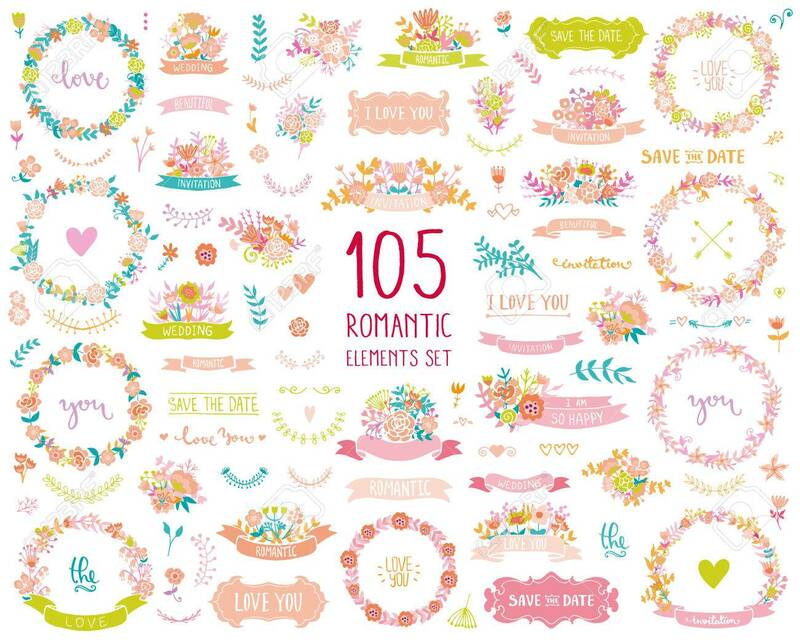 Romantic vector elements for card. Save the Date and Invitation. Wedding vintage elements big collection. Romantic hand drawn floral set with frames, flowers, leaves and ribbons. Romantic vector elements for card. Save the Date and Invitation.